Cindy and Jeff Abrahams flew to Napa Valley last year for their son Kevin’s wedding. It came as a great surprise when, in December, they discovered a similar ambience much closer to home – just a few hours away in the Texas Hill Country. For those who haven’t been to Fredericksburg, or even those who haven’t been lately, it might be worth adding to your to-do list for 2016. Long the home of a few scattered wineries, the region has become a powerhouse on the national wine scene. 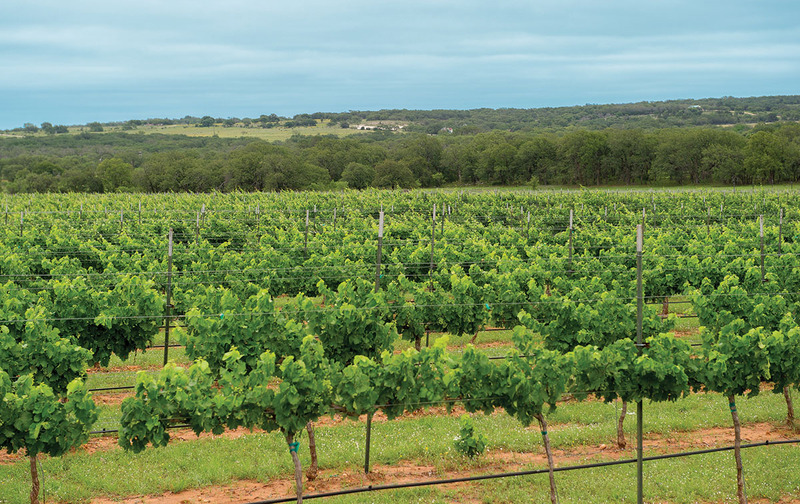 The Texas Hill Country – of which Fredericksburg is arguably the capital – is now the third largest AVA (American Viticultural Area) in the nation. Texas surpassed New York last year to become the nation’s No. 4 wine-producing state. Despite all the attention, the village, founded by German pioneers in 1846, has managed to retain a rare Teutonic-Texan blend that has earned it accolades from the likes of Southern Living and Travel + Leisure. The town has maintained its antique, small-town character while growing its tourism offerings. Photographer Mike Marvins, who recently completed a coffee-table book on the Texas Hill Country, owns a Hill Country home together with his wife Mickey. He’s been coming to the area for 40 years, and remembers when you could walk into a local bakery and hear Tex-German being spoken. Nowadays, tourists come in by the busloads. Many are there to sample from the more than 30 wineries on the stretch of highway between Fredericksburg and Johnson City alone. The restaurant scene has exploded, with more than 80 to choose from now – featuring authentic German, Tex-Mex, barbecue and fine dining. Many of them spend the entire day on the Hauptstrasse – Main Street – browsing the 150-odd retail establishments downtown and shopping until they drop, exhausted, in the Marktplatz, the town’s charming central plaza. Others leave the driving to sober chauffeurs at the helm of wine tours that do their best to keep tipsy tourists off of Wine Road 290. And still others come to see the National Museum of the Pacific War, which has grown from a small museum housed in the old Nimitz Hotel into a six-acre campus and a reputation as one of the top military history museums in the nation. 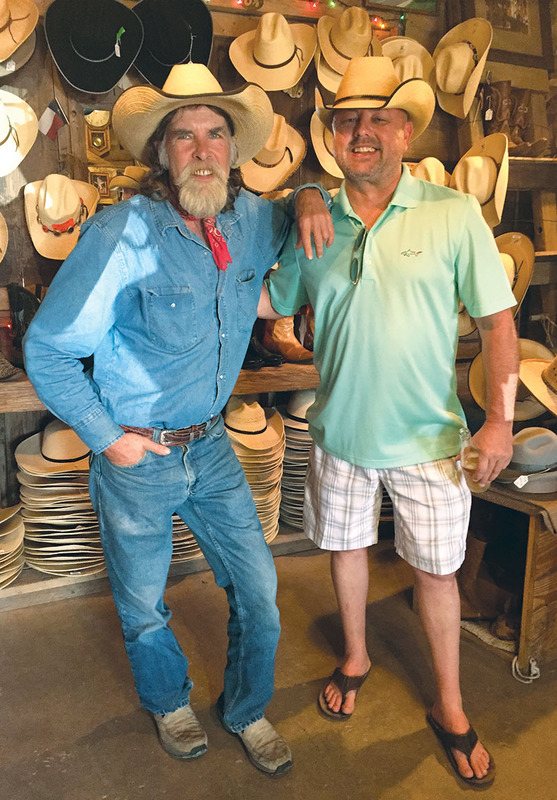 Chuck Bortnick, a Connecticut native who has moved back to Houston after some years away, has been going to the Hill Country since the ’80s, and has been impressed at the way the town has managed the changes without losing its charm. He was struck by the explosion in the wine industry – and then, by how few Houstonians seem to know about it. “It’s funny how many people, when you ask them if they’ve been to the Hill Country, they’ll say yes, but if you ask if they’ve been to a Texas winery they’ll look at you like you’re from outer space,” he said. He and wife Marcee had a memorable stay recently and took some time to reacquaint themselves with the new Fredericksburg. They especially enjoyed Grape Creek and Becker Vineyards, two award-grabbers that typically find their way to the top of the best-of lists. Grape Creek boasts a 100-acre estate and Tuscan-style villa, while Becker Vineyards in nearby Stonewall attracts thousands each year to its enormous, stone, tasting room, a reproduction of an 1800s German barn, and fragrant fields of lavender. The Abrahams visited Torre di Pietra, another charming Tuscan-styled winery, which often features live music on the piazza and festive activities, like the ugly Christmas-sweater contest the weekend when they visited. Cindy, impeccable planner that she is, packed the perfect ugly sweaters and walked away with a bottle of Torre di Pietra wine. 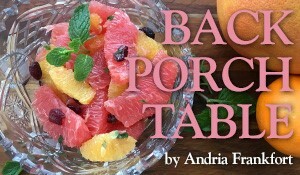 The Abrahams invited their two grown children and teamed up with Rae and Buddy Gerson to rent a country home on the outskirts of Fredericksburg for a pre-Christmas getaway. They found a farm-style house on the outskirts of town – with cows, a hot tub, a party barn and three televisions to watch the Texans play – on VRBO. Besides a hike they’d planned for Enchanted Rock State Park, they figured they’d spend most of their time in the comforts of their temporary home. But once they got there, they realized there was a lot to do in the town itself. Carol Yeates was more interested in the shopping; she and her friend Leslie Little went together recently and spent the whole day going up and down Main Street. Grape Creek Winery’s tasting room set the tone for their excursion; the vintner’s actual winery is a few miles away on Highway 290, but like a number of regional wineries, now offers a downtown storefront to take advantage of local foot traffic. There’s a lot more to enjoy in a Hill Country outing than the wine and the shopping, of course. Some of the most beloved of Texas’ state parks – Enchanted Rock, Lost Maples, Garner and Pedernales Falls, for starters – are within a short drive of Fredericksburg. And the National Museum of the Pacific War is a hands-on, not-to-be-missed experience, according to Mike Marvins. He also recommends the Pioneer Museum on Main Street and the nearby Lyndon B. Johnson State Park and National Historic Site, with a living-history farm, part of the state’s official longhorn herd, a spectacular spring-wildflower display and interpretive programs. Holly Hartman has been going to Fredericksburg since the late ’90s as a private retreat to escape from city life. She loves leaving the noise of the city without having to give up its creature comforts: fine dining, live music, great shopping. But most of all, she loves the quietude and the natural setting in the cabin where she always likes to stay. As a photographer, it gives her access to some great material. “It’s a wildlife sanctuary, basically, so I’ve taken lots of wildlife, and lots of sunset pictures. I’ll try to find a country road I’ve never been down and drive to see things I’ve never seen before.” One of her favorites is from a time she got lost and found herself face-to-face with the perfect shot – a little white wooden country church at sunset. Getting there: Mike Marvins recommends taking Highway 10 all the way through San Antonio to near Comfort, where scenic route on Highway 87 ends up getting you there in about the same time as the Interstate, but with more peace and beauty. 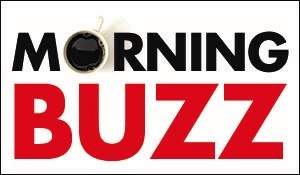 Holly Hartman’s pick: The Bed and Breakfast on Knopp School Road. She loves to stay in one of the two historic private cabins surrounded by deer and other wildlife and enjoy the hot tub, sumptuous room-service breakfast and relaxing rural setting. Where to eat: Carol Yeates’ and Leslie Little’s pick: Cabernet Grill at Cotton Gin Village, housed at an upscale B&B about 10 minutes outside of Fredericksburg, a landscaped replica of an 1880s village with restored log cabins. Mike Marvins’ picks: The Nest, a chef-owned restaurant in a restored early-1900s bungalow; for German food and beer, the Altdorf Biergarten; and for Texas food and live entertainment, Hondo’s on Main. Some wine tours: Majesty Tours, George’s 290 Wine Tours, Texas Wine Tours and 290 Wine Shuttle have all earned the Trip Advisor Certificate of Excellence.